Maria Rita’s first CD self-titled Maria Rita launched her career,especially with the hit La Festa. Since 2003 she had produced 3 albums which have all gone platinum. She puts her own flavor on Brazilian Jazz infusing legends like Ella Fitzgerald into her work. Carnival in Brazil is held annual in Rio and marks the coming of the Easter season and the advent of Lent. 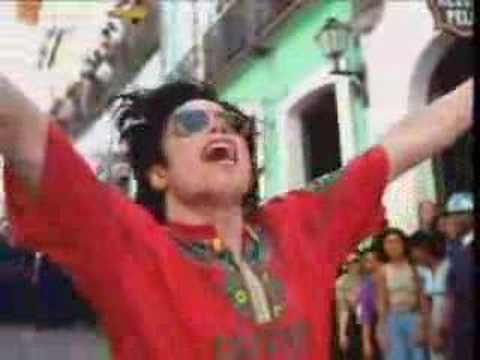 MICHAEL JACKSON – They Don’t Care About us (with OLODUM). Olodum is a cultural group based out of Salvador, which is the capital city of the state of Bahia. They were recognized in the mainstream for this collaboration that they did with Michael Jackson in the 1990’s for his hit, “They Don’t Care About Us”. Israel MoldonadoÂ is from Mexico but plays Brazilian rock and funk like no other. He plays classical guitar and is known to mix and fuse in Brazilian, Salsa, Gypsy, Funk and just about everything else. You are currently browsing the Brazilian Music weblog archives for February, 2008.